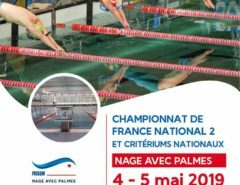 Many of the best finswimmers all around the World have fought in the 1st Round CMAS Finswimming World Cup 2018. The event, that officially opened the international finswimming circuit calendar, has been taken during last week end distributed in 4 sessions, on February 24th-25th 2018 in the swimming pool Aladar Bitskey city of Eger (Hungary). First of all, as we already announced in a previous post, Eger is going to be candidate to be the host city for the 2022 CMAS Finswimming World Championships. 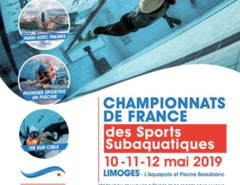 Let’s speak about the performances… Because of we are in the beginning of the 2018 international finswimming season, no World or European Senior Records have been broken, but we had the pleasure to see some cool “water shows” by the competitors. For example the name of Oleksii Zakharov (2001), a very young athlete from Ukraine, brung his name in the top of the boys rankings, swimming very good times in 400sf with 3:01.45 and 1:23.14 in 200sf. Iuliia Bryndina was very close to the Junior World Record in 400sf with 3:18.54 and got the Junior European Record in 800sf with 6:58.42! Other young results by Jakub Kovarik won 50ap in 15.25, Guglielmo Alicicco won 50sf in 16.46, Tatiana Prichinina won 50ap in 17.25, Marcell Kocsis won 50bbf in 20.52, Anita Szabó won 50bifin (22.81), Yelyzaveta Vakareva won 200sf with 1.31.12, Alexandr Khudyshkin got the gold medal in 100imm with the time of 35.33, Lucie Kolarikova in 100imm 39.56. Between the “bigs”, Ádám Bukor won 2 events: 400sf with 3.01.93 and 800sf in 6:23.79. The evergreens like Stefano Figini was second in 200 (1:22.06) and 400sf (3:02.29), Valeria Baranovskaya won 100sf in 40.17, Anastasia Antoniak won 200sf in 1:31.91, Petra Senánszky got the gold in 100bf in 46.80, Dmitrii Zhurman won 50sf in 15.99, 100sf in 34.69 and 200sf in 1:21.43, Vladimir Zhuravlev from Russia won 50ap in 14.41 and 100imm in 32.53, Lidia Stadnik in 100imm 38.00…and much more performances to be underlined! Thailand participated to this round of the CMAS Finswimming World Cup. The first time ever we have seen this country in a finswimming international event was in 2014 during a round of Finswimming World Cup in Phuket (Thailand) results here. If you are looking for the complete results, check out this page. In less than 4 weeks, the 2nd Round of the CMAS Finswimming World Cup 2018 will be held in Italy, in the city of Lignano Sabbiadoro (March 24th-25th, 2018).